This year Rototom Sunsplash have broadened the variety of food on offer with the new vegetarian space where you can try everything from falafel and elaborate dishes with tofu and seitan to natural shakes and flower waters. The festival’s food and beverage zone has a new space this year. 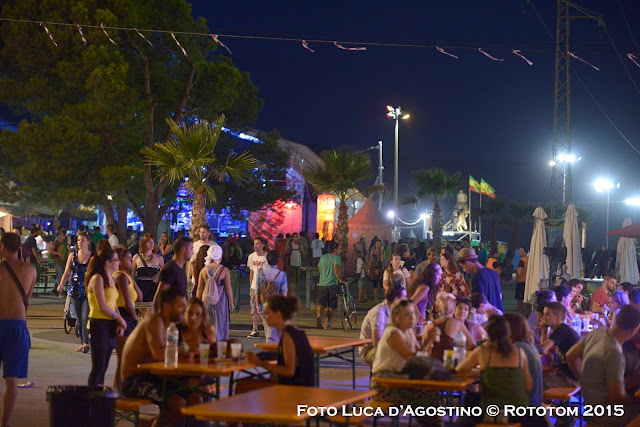 Vegetarea, is the new vegetarian area of Rototom Sunsplash. A place where you can enjoy all kinds of healthy dishes and drinks all made with natural products. For example, there will be falafels, seitan kebabs, vegan cheese and tofu stews, as well as different types of omelettes. You can also try artisanal coconut ice cream, made to a traditional recipe, or try a refreshing drink of flower waters, shake, or natural juices. Beyond the culinary aspects, the área will be decorated like an oasis, with a variety of flowers and plants, a space where you can relax and healthily reinvigorate yourself.